Please click here in order to grade our quality of work and customer service. Live In Your Home Remodel! The Burton family has been living in Cape Coral for five years. When they decided to remodel their home, they discovered WDM Construction online. When the Burtons called owner Bill Meginley for a deck remodel he turned down the job but recommended someone that did brilliant work for them. See the photo gallery of the remodels! “Bill was very happy to recommend someone who could do the job well,” said Cheryl Burton. When they decided to remodel their master suite, they considered Bill Meginley immediately. “Anybody who would turn down work and refer someone who turned out to be a quality person is worth a second look,” said Burton. Burton was instantly impressed with Bill upon their first meeting. She noticed his engaging smile and his friendly personality. She saw that he wanted to put her at ease. “I had the sense that he knew it was awkward for me, so he wanted to make me as comfortable as possible,” said Burton. She felt an immediate friendship in the making. Right from the start he called me “Miss Cheryl,” she laughed. She truly enjoys this term of endearment and finds it very professional. She’s been thrilled regarding how clean the entire remodeling process with WDM Construction has been. She said that large canvases and tarps were draped throughout her home to protect her furniture and household. She was pleasantly surprised when they finished her master suite. “I thought they were finished, and a lady arrived with a mop and a bucket and scrubbed down the tiles,” she said with praise. 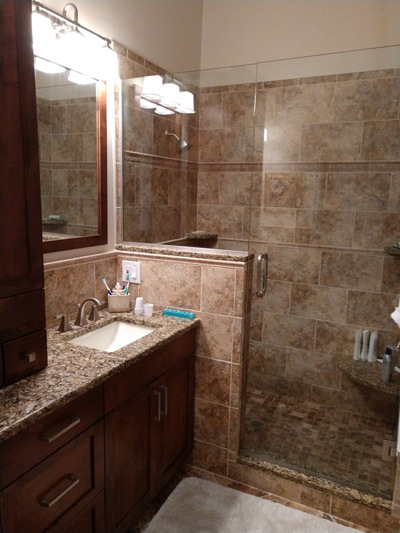 Both she and her husband were so excited with the new tile that WDM recently installed. Once again Bill and his team didn’t disappoint the Burton family. They went the extra mile to ensure the home was impeccable when they finished. “They went in and scrubbed down the whole room,” stated Burton. This made it possible for the family to put their furniture in place and enjoy the remodel immediately. They took precautions with the vents in the Burton’s home, preventing a dust storm. “It is such a relief that they take care of that for you,” Burton exclaimed. “This man believes in doing the job well,” she said of owner Bill Meginley. They took caution and consideration when they moved her furniture. “They took care of my house and they took care of me,” said Burton with gratitude. She feels comfortable and safe with Bill and the crew in their household. She is thrilled with the level of respect that they have shown both her and her estate. “To get to the areas they were working they walked outside rather than walking through the house every day,” said Burton. Bill commented on ideas for storage and lighting for the Burton home when he saw an idea that would help the family. “Bill’s helpful and insightful,” said Burton. 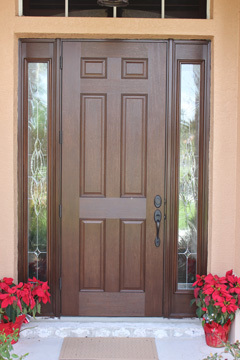 Recommending WDM to friends and neighbors, she’s thrilled to show off the beautiful craftsmanship they have constructed. “We can’t wait to show off what we’ve had done,” she said with excitement. Recently a plumber came through the home, shocked that it wasn’t a brand-new home. She boasts the production that they construct is immaculate. “We never doubt for a minute they will do a quality job,” she stated, referring to WDM. Burton compared the crew to a team of brothers working together. “They joke with each other, and give each other suggestions,” said Burton. “The company is like a family. They get along with each other as well as they do customers.” She calls them ‘Bill and his family’. WDM Construction can remodel your out-dated kitchen or do a bathroom makeover. 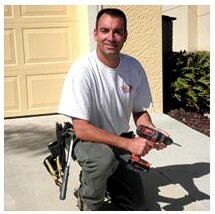 As experienced remodeling professionals, it is our mission to bring your visions and dreams to life. Whether it's windows, doors, interior or exterior remodeling, renovating or repairs, your home is a reflection on our reputation. That's why we won't just work on your house, we'll care for "Your Piece of Paradise". When you call us, you’ll have peace of mind knowing that you will receive the workmanship and attention to detail that is worthy of your home. We stake our reputation on it. 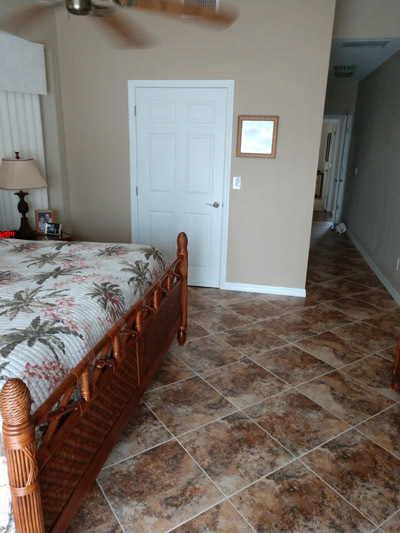 WDM Construction offers complete remodeling services for homes in Cape Coral, Fort Myers, North Fort Myers, Sanibel, Captiva, San Carlos and Pine Island, as well as other parts of Southwest Florida. Call us for an estimate today! WDM Construction has been in business for over 25 years and we are proud of our long history of satisfied customers. Since our relocation to Southwest Florida in 2005, many other contractors have come and gone with the real estate bubble. Honest business practices, respect for customer’s property and competitive pricing has kept our customers coming back as well as referring WDM Construction to family and friends. The owner, Bill Meginley, is honored to be a part of this community and believes that it is very important to give back through volunteerism. One way he has done this was through years of volunteer work at the Cape Coral Soccer Association. As a Florida State Certified Building Contractor (CBC) we can legally do both residential remodeling and commercial remodeling. The most common commercial remodels we do are build-outs, both office and retail. WDM Construction is uniquely qualified to handle your Historic Home Renovation due to our significant experience renovating historical homes in Pennsylvania, New York and New Jersey. WDM Construction offers window replacement using name brand aluminum, fiberglass and PVC Windows. Over 25 years of new construction and remodeling experience gives us the knowledge to design and plan your dream remodel. Naples and other SWFL cities depending on scope of project. Please call us or submit the information below to request a free estimate. ©2012-2018 WDM Construction of SWFL, LLC. Mobile Website Design and Web Hosting Management Specialties Web Services, LLC.